Merdjan Wood LLC is a family-owned business that was founded in 1992 in the small, attractive town of Sarnitsa in the Pazardzhik Province of Bulgaria. The town is in the heart of Rhodopes Mountains at the beginning of Dospat Dam. Quality education coupled with years of experience in forestry and timber production are at the core of this family run business. The main activities of the company are output and processing of timber (mainly spruce, pine and fir), as well as afforestation. 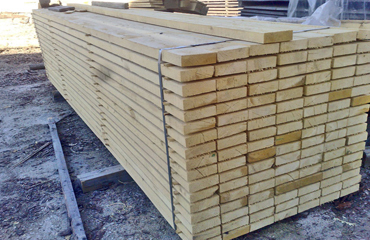 The end production is sold to construction, pallet and furniture industries. In its long history, the company managed to remain stable during the continuous economical changes. 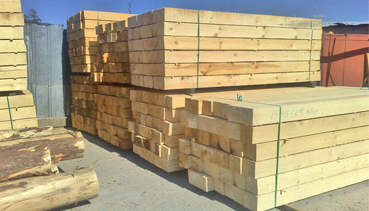 During this period, Merdjan Wood succeeded in expanding its production capacity as well as the range of its partners and customers. Furthermore, the company made sound investments in new machinery as well as training highly qualified administrative and service personnel in order to ensure excellent quality and service. The products manufactured in Merdjan Wood’s facilities are of the highest industry standards and are selling at an exceptional rate both domestically and internationally. The company is exporting its products to markets such as – United Kingdom, Belgium, Greece, Italy, Iraq, Israel, UAE, Saudi Arabia, Turkey, China, and more. Presently there is one main facility and two subsidiaries that is staffed by 60 people. The total acreage of the facilities and timber-yards is over ten acres. There are hi-tech machines and equipment in use in the company’s facilities allowing the supply of high quality materials and a wide range of products.